Jockey Angel Serpa. Photo by Jim McCue, Maryland Jockey Club. Even without a mount on the program, journeyman rider Angel Serpa accepted congratulations in Laurel Park’s jockey’s room Friday for coming home a winner following his first trip to China. 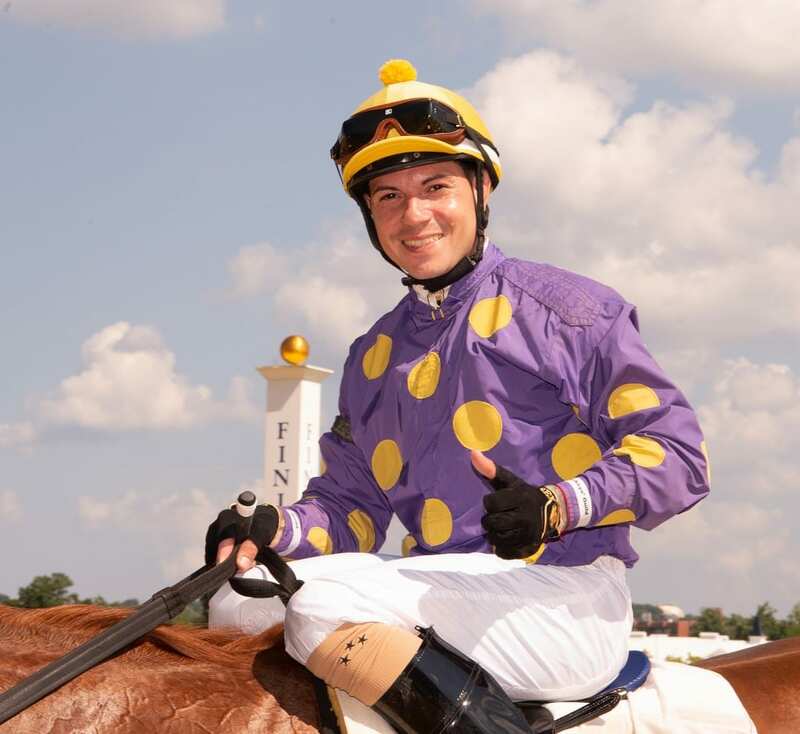 Serpa, 30, represented the United States and the Maryland Jockey Club at the 16th annual China Wuhan International Horse Racing Festival at Orient Lucky City Wuhan International Racecourse. The Bayamon, Puerto Rico native captured the International Jockeys’ Race, a 1,200-meter event contested clockwise around the sand-based track. One of China’s largest cities, Wuhan is the capital of central China’s Hubei province with a population of nearly 11 million. Serpa, a finalist for the 2010 Eclipse Award as top apprentice who owns 723 career wins and is married to Delaware Park’s leading rider, Carol Cedeno, said he prepared for the race the same way he does on his home circuit. Serpa’s lone mount of the weekend comes in Sunday’s second race aboard Jacks or Better Farm homebred Bayou’s Legacy for trainer Ken Decker. The opportunity for Serpa to participate in the festival came after a Chinese delegation made a visit to Laurel and asked MJC President and General Manager Sal Sinatra and Vice President of Racing Development Georganne Hale if Laurel would be interested in recommending a rider to represent The Stronach Group track. “I want to thank Georganne, Sal and Mr. [Frank] Stronach for giving me the opportunity to go there and represent the United States and the Maryland Jockey Club,” Serpa said.